Hi! I’m Hazuki, an intern for Diversity & Inclusion (D&I), a new team that was founded in February. Here at Mercari we have members with various backgrounds including nationality, language, and religion. 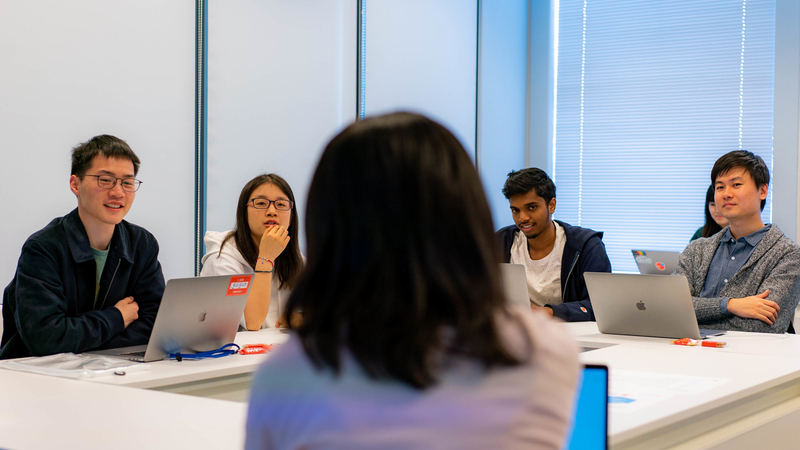 In order to create an environment where anyone can reach their full potential, we held an “Unconscious Bias Training” (UBT) for our new graduate members. This was the first time that UBT was offered to members below manager level. In today’s #MercariDays article, I interviewed Hirona and Liz, who facilitated the session, on why they planned this UBT. ー First of all, what is unconscious bias? Could you explain why Mercari needs this training right now? Liz: Having bias is a state of mind in which we make a judgement based on our own insights backed by past experiences and feelings. Needless to say, with limited information, we are inclined to react to certain situations too positively or negatively. “Unconscious bias” literally means that we are not aware of that situation. Hirona: Globalization of the environment and also people’s mindsets allows us to work with those who have a multitude of different values. Understanding and doubting one’s own “value framework” is the first step to developing a sound relationship with people who are from various backgrounds. That’s why we decided to develop and facilitate a training session to help people realize their unconscious bias. ー You created this UBT from scratch. What were some of the things that you valued? Hirona: What makes unconscious bias a difficult topic is that sometimes, even the act of kindness or consideration can come from a biased perspective. The act of being considerate of someone itself is wonderful. However, we need to make sure that action does not come from a biased idea. I wanted to make sure that that message is well-communicated through this mission. ー This was the first time this training was offered to these members. In the future, what kind of change do you hope that this training will bring? Liz: We don’t expect to completely eliminate unconscious bias. Through this training we just want members to come to the realization that we all have unconscious bias. We want to be able to create an environment that when members accidentally say something that can come across as biased, we can notice that and be considerate of each other. Hirona: I agree. We are hoping that more members will experience this AHA! moment of “Oh, I have unconscious bias too!” in their daily life. I think this moment itself is an act of humility and positivity, which helps us ponder how to remove our bias in order to establish a more constructive relationship with each other. 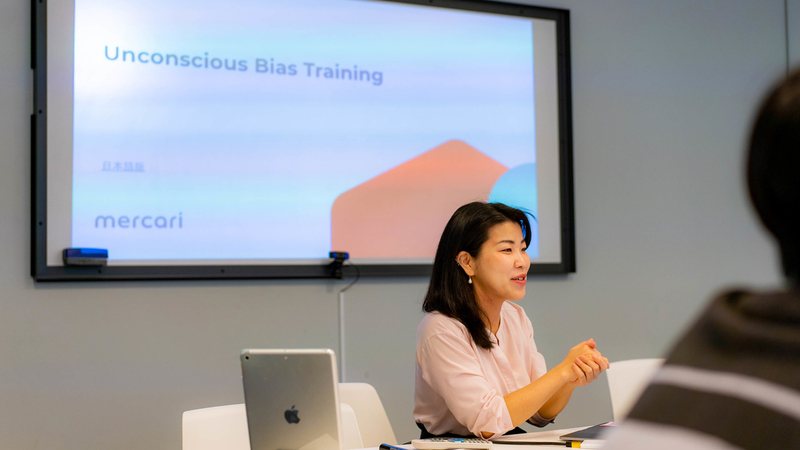 Hirona and Liz added that “Although this is “training,” our intention is to create an occasion where members can share each other’s values and think about them together.” We hope to become more aware of unconscious bias themselves as they continue to update the training. Lastly, we asked some of the new graduate members who attended the training for their thoughts on UBT. ・The training was a great opportunity to reflect on how we should each do our best to be considerate of each other, and that is what makes good communication possible. ・That's a really good course. I'll pay more attention about unconscious bias when I work with others. Creating an environment where all members can reach their full potential is a group effort. We hope to continue to report our D&I efforts on Mercan, so stay tuned! See you next time for more #MercariDays (#メルカリな日々)!